Yes. Fen Video Production is covered by general liability insurance. Certificate is available upon request. 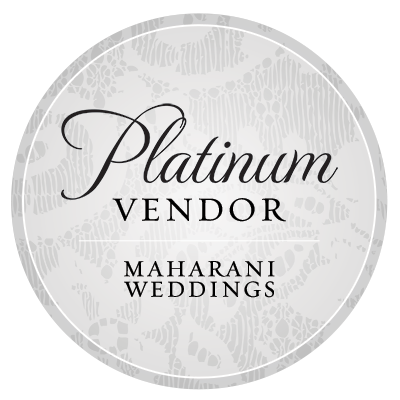 2) How do you coordinate with other vendors at a wedding? Especially with photographers? How do you set up equipment so you are not in their view? What is your filming style? If you are hesitant about hiring videographer worrying that increased amount of crew will disturb your wedding, I think I might be the one for you. I am one person crew with small equipment; very unobtrusive. For ceremony, entrance and first dances, I use the 70 to 200 mm zoom lens and stay a great distance from the couple. Audio is recorded professionally via wireless mic and DJ's system. I know how to stay out of photographer's way and have established great working relationships with many of them. 3) How many wedding have you filmed and edited? I have filmed and edited 150 weddings as of end of November 2018. I perform all filming and editing by myself. I film between 40 to 50 weddings per year. 4) Do you provide "Raw Footage"? Yes. Upon request, raw footage is always provided free of charge. Due to its large size, clients just need to pay for the cost of a TB external hard drive or provide your own. 5) Should I hire you for filming service only without any editing, and get the Raw Footage? Yes. However, this is more suitable for clients who does professional video editing themselves or have alternative source for editing. It's also good for clients who are out of budget and just want to have the event filmed first. 6) What is your workflow for Weddings/Events? And all 3 steps after "Filming" can be optional items on the contract to be decided on a later day. 7) Would you provide more detail of your filming style? I utilize 3 DSLR cameras (Canon 6D) and 1 video camera (Canon C100). Three cameras are normally filming at the same time (two static and one operated by me) for key moments; this is for multiple-angle editing later. And the 4th camera is backup in case any of the three malfunctions. Senheiser wireless mic and transmitter is used for recording vows during the wedding, or sometimes interviews. It allows me to remain distant/unobtrusive from the action. The quality sound track is recorded onto audio recorder and syned with the video track duing feature editing. Audio is also recorded directly from the mixer whenever there's a PA system in place. If you have seen my samples for Wedding/Events, you proably already know that my style is documentary, but with lots of cinematic interpretation of the moments. I focus on story-telling, I film to capture the true personality of the couples and the crowd. When working in film/interview, etc., I do small amount of directing, mainly for the purpose of continuity during editing. It varies with projects, some clients have more visions and need less help than others and I will interpret that vision duirng the video-making. 8) Would you provide more detail of your editing style? I use Final Cut Pro X for editing. And I use many plug-in such as "Color Finale" to perform color grading. I take color grading seriously because the right color reflects the right interpretation of mood and artistry. Color grading, Sound enhancement, and Multiple-angel editing are all included in the "Feature editing" step; its work involve importing and sorting all clips, syncing audio tracks, and make everything into continuous movie files. I edit all key moments and small moments for weddings and events. It's perfect for the purpose of preserving memory in film quality and being able to relive the day years later. My artistic editing step follows the Feature editing step, and the Feature editing step cannot be skipped. The reason is that during feature editing, I get familiar with all the clips and discover the best, also brew a story in my mind and start the unique creative process. I always like to think out of the box, and embrace many modern editing technique such as time-shifting and voice-over. I don't overuse special transitions and/or artifical lights and patterns, most of the transitions are just cut or a fade/cross-desolve, like how movies are done most of the time. It's the story-line and continuity I am focused on. 9) Do you have partners and is backup and/or 2nd cinematographer available? Yes. I am affiliated with a few other cinematographers. In case of emergency I do have back-up. 2nd shooter is not available. Fen Video Production is only a one person operation, all the videos are filmed and edited only by me. 10) Would you provide more detail on your lighting technique? Lighting is normally the most time-consuming part during any movie production, but for documentaries or Wedding/Events we often run into indoor poor lighting condition. I use camera-top light, but I only crank it a little bit so that it's not harsh, I often use that during reception party hours. For wedding ceremonies, I never use any assisted lighting, for the purpose of not disturbing the moment; I just bump up the iso on the camera when needed. The good news is that cameras with premium lens are so light sensitive and do very well in low light situation. I do draw the line between event and movie production. I believe that Wedding should not be disturbed and made look like movie production. For studio work like interviews/cooking shows, I have a pair of soft boxes that work nicely, just take a little bit time to set up and tear apart. For theatre/band performance/stage shows, I do not use any assisted lighting, just capture the natural lighting given on the stage. Cinematographer, Videographer, Cinematography, Videography, Wedding Video, Cinematic Wedding Film, Sweet 16, film crew, Bat Mitzvah, Birthday, Engagement, Prom, Music Concert, Cultural Event, Show, New Jersey Videographer, New Jersey Cinematogkrapher, Wedding video NJ, Wedding videographer NJ, New York Videographer, New York Cinematographer, Wedding video NY, Wedding videographer NY, Philly Videographer, Philly Cinematographer, Wedding video PA, Wedding videographer PA, Documentary film, green screen production, short film project.